The News headlines are more often full of wars, disasters, crime, accidents, the antics of politicians and the economy rather than good news, and to a greater extent we hear about celebrities behaving badly rather than important people doing good deeds. What the media gives prominence to is not necessarily based on excellence, virtue and merit. Yet the media is a big influence on how we perceive the world and what is important, other than our basic needs. In addition to this, a half hour commercial television news bulletin only gives a short time to each story, as there’s little opportunity to cover a subject in depth after commercial breaks, sport and weather are taken into consideration. Eyes may soon glaze over if a newspaper story exceeds a few paragraphs, and our attention deficit computer game playing younger generation has given the printed journals a miss, now being more occupied with all that the online diversions can offer. Reality TV has made big inroads into the realm that was once the domain of acted dramas and variety provided by professional entertainers. Particularly with so many people seeking their 15 minutes of fame. 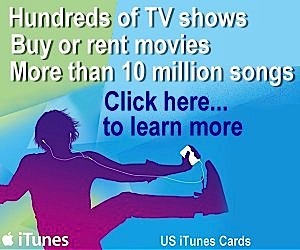 Fame is even fleeting for those who have gained great popularity, as the stars of yesteryear are soon forgotten. A young teenager, listening to some music his mother was playing asked who the band was. “The Beatles,” she told him. There’s no point in waiting any longer. It has been two months since the passing of Dorothy Krantz and still no word from major media other than appropriately laudatory bereavement notices from her family and those who knew her and remember. How inadequate is memory today. Amidst preoccupation with the onward rush of this encroaching world how little acknowledgement and understanding of those who hardly more than a generation ago contributed so essentially to what was an isolated and necessarily self sufficient community that shaped and created much of what we are and have here today. Another icon of our theatrical history has fallen in a year which lost us National Theatre contemporaries Sydney Davis and the well noted Nita Pannell. Dorothy will be remembered through theatre programmes from the 30s to the 60s recalling fine and, to those who were there, memorable performances. Most notably she shares a monument that should not be taken for granted: the Playhouse Theatre. 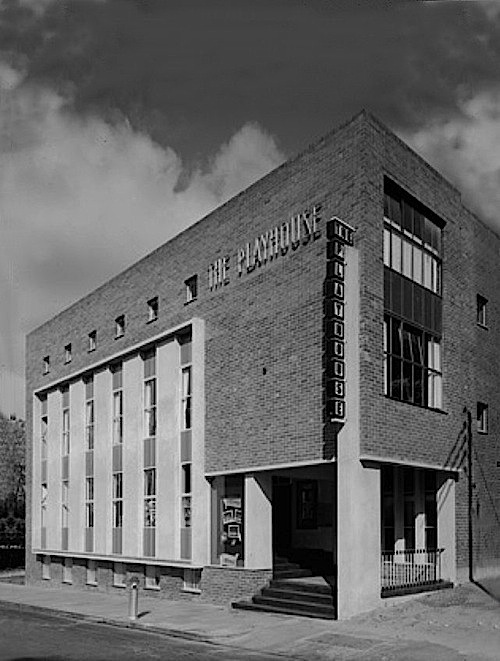 Dedicated in commemoration of those who fell in the Second World War, the Playhouse in Pier Street Perth opened on the 22nd of August 1956 as the realisation of a long cherished dream by the very active and high standard theatrical community of the day. Graduation to it as their permanent home marked the significant beginning of fully professional theatre in WA. Previous clubrooms were the St Georges Terrace Repertory Theatre and earlier in Pier Street not far from today’s location. Before that the Commercial Building in King Street and, originally, the basement of the Palace Hotel. Performances began in 1919 at His Majesty’s Theatre and subsequently Perth Town Hall. Moving to the Terrace in 1933 required massive conversion of what had been the printing room of West Australian Newspapers. Club members including Dorothy Krantz “worked like slaves” to create that theatre, in the words of contemporary Nancy Nunn. The two met the year before when the young Dorothy Powell was an up and coming actress with the ‘Rep’ in Pier Street at the time of the first paid secretary Molly Ick. “Harold Krantz always waited for her after the shows and much later, when he was a successful architect, his firm donated the plans for the Playhouse. Again she helped, amongst other things by raising money checking thousands of entries in the ‘Find the Ball’ competition run by the West Australian”. Well known actress Margaret Ford was another close friend who notes Dorothy was a member of the Workers Art Guild, “and not just a champion bridge player, but a Grand Master”. The war years brought her great acclaim on the stage, which never diminished: “The last play before moving to the National Theatre at the Playhouse was ‘The Innocents’ in which Dorothy, with Sally Sander and the now noted violinist Ashley Arbuckle as the children, played to full houses every night. She was a beautiful, fine actress”. 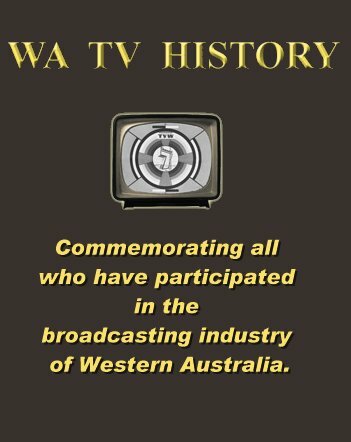 It is difficult now for many to picture a Perth in which the Nullarbor was omnipresent and visiting shows were few and far between; entertainment was limited; television was something they had elsewhere. Theatre was a major force and London’s West End seemed closer since its successes had to be performed by our own actors if they were to be seen at all. With shows an important social event and usually packed out, a suitably large venue was seen as a logical culmination of years of fund-raising efforts to consolidate live theatre in the capital. Foremost as a driving force amongst those who took the Playhouse project through to completion was Dorothy Krantz. As a performer with drawing power she helped box office contributions to government guaranteed building fund and a leading committee member utilised contacts and influence to ensure the plot of land leased from the adjacent Church would not lie empty for long. Many who bemoan what they see as the parlous state of live theatre today point to those times as the great years, perhaps local professional theatre’s last hurrah. That inheritance is still here in the form of the Playhouse. “The Playhouse has played a crucial role in Perth’s professional theatre industry. In fact it is people with vision and commitment such as those who participated in the planning and building of this theatre that the industry could do with in its present circumstances. Household stage, television and film names of today owe a debt to those who made the Playhouse a reality”, So says the Playhouse based ‘today generation’ Perth Theatre Company General Manager Bronwyn Edinger. Having come up from the then rather distant Fremantle in the early 40s and been put through the Repertory Club’s ‘fresher nights’ before serving her backstage apprenticeship, the now Grande Dame of theatre Coralie Condon found herself promoted to a small acting part opposite Dorothy Krantz playing the lead. “We became close friends for life. Of all the excellent roles she played, I especially remember her in Noel Coward’s ‘Blyth Spirit’ when she played Elvira, the ghost wife. Dorothy experimented for days to achieve just the right make-up and played the character with such an ethereal yet comedic touch that I felt it could hardly have been done better by anyone. “Another of her outstanding performances that has stayed with me was that of Blanche Dubois in Tennessee Williams’ ‘A Streetcar Named Desire’. Challenging roles. When the Playhouse was established, Harold Krantz, who designed it and supervised construction, went on to form the Company of Four with Sol Sainken and the late Lily P. Kavanagh and Nita Pannell. Under the auspices of the Adult Education Board they presented fully professional shows in which Dorothy appeared and which were milestones in WA’s theatrical history. Dorothy had a very individual way of getting under the skin of every character she played. She made a great contribution”. The State’s theatre historian Ivan King alone remembered Dorothy Krantz in print for Arts West and adds: “In this era of the thirty second grab she should be remembered as a pioneer in real theatre. Let us not forget she was part of that wonderful Arts Council country touring circuit, which seems now to have withered and died”. 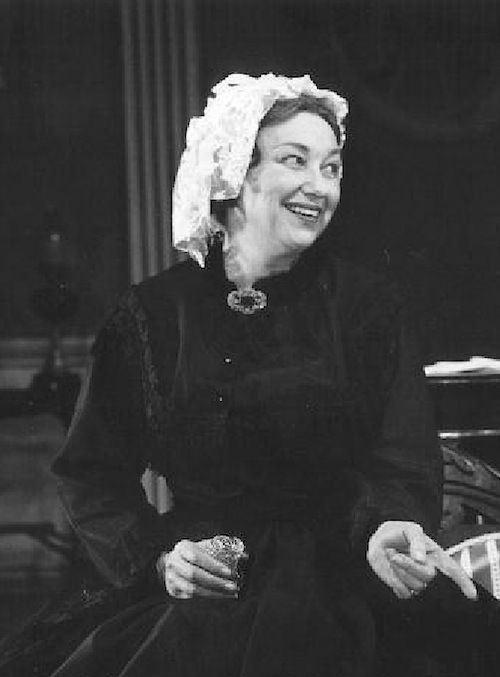 Dorothy Krantz spent most of the past thirty years as a member of the audience and in deteriorating health, devoting herself to Harold and their children. Happy, reminiscing lunches with theatrical contemporaries kept her in touch with the world in which she played so significant a part. Next time you pass by or visit the playhouse, don’t take it for granted. Remember. 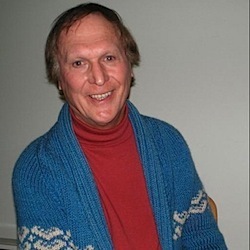 Broadcaster, journalist and real estate manager, Colin Nichol knew Dorothy Krantz when as a young actor on the stages of Patch, Repertory and Playhouse theatres. Dorothy Hope Krantz passed away on the 6th of December, 1994. Age 82 years. The architect husband of Dorothy Krantz was responsible for the Playhouse Theatre in Perth. The architectural firm of Krantz and Sheldon was established in the early 1930s and employed some 39 nationalities of migrant architects and draftsmen over the years. Harold Krantz was a nephew of Perth architect, Harold Boas, and Robert Sheldon (who had changed his name from Schläflik). Harold Krantz was a Jewish-Viennese émigré who had fled Nazi Europe. The firm made a significant contribution to the architectural history of Western Australia. They pioneered ‘European’ styles in a state in which all other architectural firms were ‘English’. 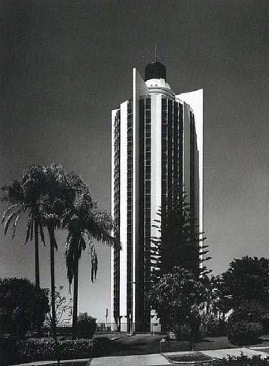 They pioneered and specialised in apartment designs, through the range of economical low rise apartment to luxury medium to high rise apartments, using a variety of construction techniques, from the 1930s into the 1980s. In Perth, their practice produced up to one thousand home units a year. An iconic building attributed to this architectural firm is the Mount Eliza Apartments at 71 Mount Street, Perth, affectionately known as the ‘thermos flask’. This building completed in 1964 marked the change in generation from Harold Krantz to their son David. Fellow architect, Iwan Iwanoff, who worked for Krantz and Sheldon from 1950 until the mid 1960s, painted the wall murals in the main lobby of the Playhouse Theatre. Since the National Theatre Company was liquidated in February 1984, The Playhouse has been home to The Playhouse Theatre Company [1984–85], Western Australian Theatre Company [1985–1991] and Perth Theatre Company [1995 – present]. The theatre was managed by AEG Ogden (Perth) Pty Ltd on behalf of the Perth Theatre Trust. The Playhouse Theatre is now closed, since operations shifted to the State Theatre Centre in January, 2011. The Black Swan State Theatre Company and the Perth Theatre Company are the resident companies of the new theatre centre on the corner of William Street and Roe Street in Northbridge, with the Playhouse now destined for demolition. No doubt the fact that the Playhouse was dedicated to the fallen soldiers of World War II has already been forgotten and the lasting monument to Perth theatre will soon be rubble.